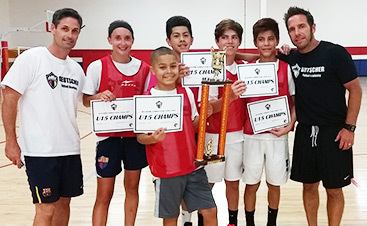 We are proud to host the largest, most competitive futsal league in Arizona. All of our matches are played on a full court, are full length in play time and all of our referees are US Soccer Grade 8 Futsal/USYF AZ FUTSAL certified referees. U8-U18, Boys/Girls, the age cut off date is Dec 31. 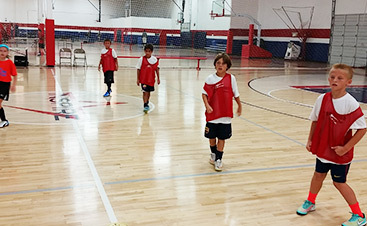 USYF AZ FUTSAL is played 5v5 (four field players and a keeper). Teams will be scheduled 1-2 games per week. Allow for more games during playoff week Out of area teams can request two games per evening for travel efficiency. All matches are 50 mintues in length (2 x 24 minute halves and a 2 minute halftime break). All matches are played on a full court, with a US Soccer Grade 8, USYF AZ FUTSAL certified referee, official futsal goals and match play futsal balls. Matches are played at INSPIRE COURTS. Season’s are six games in length plus a semi-final (top four teams) and final (top two teams) for the division champion trophy…..hot or cold, rain or shine! Team registration ($500.00 per team). Player Insurance: All players must register for the USYF player insurance each year. League schedules will be posted by May 27, 2019. Registration deadline is May 24, 2019…..Register now and reserve your spot, fill in your roster later! Six match minimum, plus a semi-final (top four teams) and a final (top two teams) for the division championship . One referee (min) for each match. 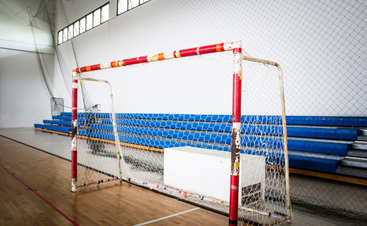 The use of AZ FUTSAL equipment (official futsal goals and match play futsal balls). Team trophy for division champions! *Player’s birth date cutoff is Dec 31/Jan 1. If you have any questions, email us at usyfazfutsal@gmail.com.